Leapfrog is a series of first reading books for new readers and older reluctant readers. The stories are presented in large-text format and are accompanied by full-colour illustrations. 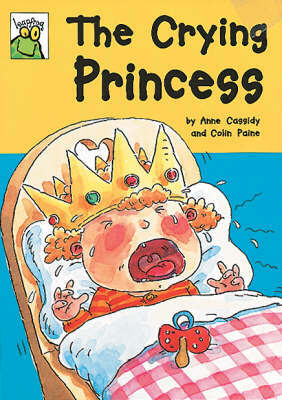 The Crying Princess - The King and Queen just can't stop Princess Alice crying. The King offers all his gold to any person in his Kingdom who can stop her. Prince Tom comes to the rescue.